When a pipe bursts at your office or your home’s water heater stops working, JC Plumbing is here to help. With over 15 years serving the Springdale, Bentonville, Little Rock, Rogers, Van Buren, Fort Smith, and Fayetteville communities, we can handle a huge variety of plumbing issues—both large and small. From everyday maintenance to emergencies that need to be addressed right away, our team of expert plumbers can lend a hand. We can even help you out with your kitchen or bathroom remodel, washer and dryer installation, or get you set up with a new water softener and filtration system. Need plumbing services in Springdale or the surrounding areas? Contact us at (479) 316-2674. When you’re dealing with a plumbing system that isn’t working properly, you may be tempted to try to fix the issue yourself. 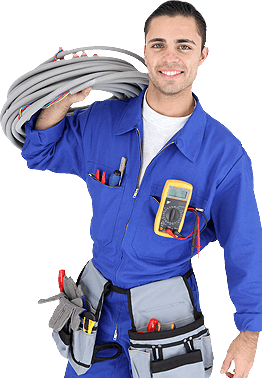 However, a professional Springdale plumber can help you correctly diagnose the problem, quickly fix the issue, and avoid causing any further damage. At JC Plumbing, we have the real-world experience to help you with a huge variety of plumbing services. No matter the type of plumbing service you need, we’re here to help! We’re dedicated to providing superior customer service and top-notch plumbing services at a reasonable rate. We offer free consultations to find the best solution to your plumbing problem, 24-hour emergency service for sudden after-hours issues, and provide honest upfront pricing so you’re never surprised by your final bill. We're here for you when you need us, day or night!